Popular Product Reviews by Amy: Mama Mary's® is celebrating National Pizza Month with homemade pizzas and family fun! 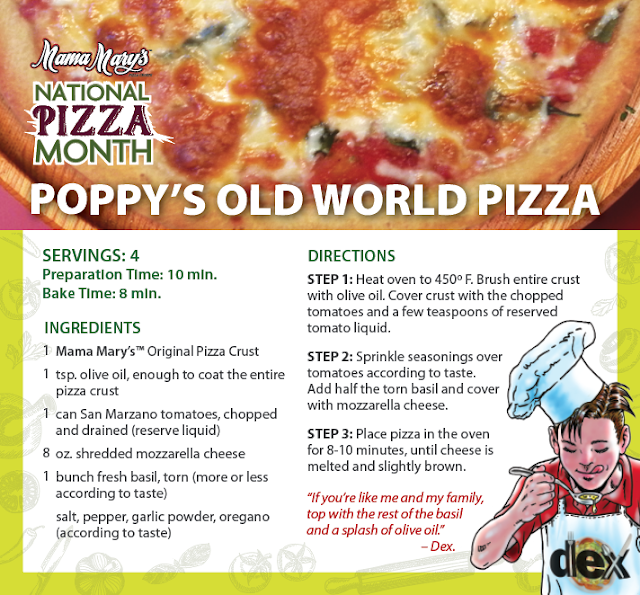 Mama Mary's® is celebrating National Pizza Month with homemade pizzas and family fun! 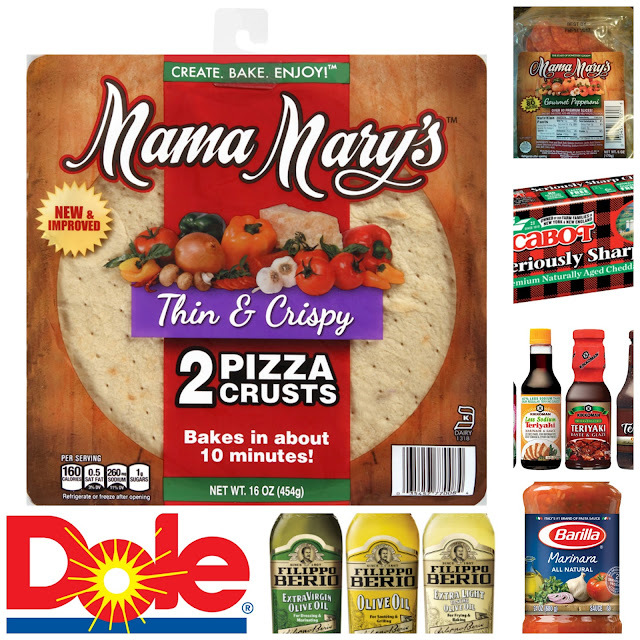 brought to you by B&G Foods' MAMA MARY'S® PIZZA CRUSTS! PLUS some great recipes for your friends and family to try when getting together to make home made pizzas on Game Night, Family Night, Movie Night or Pizza Night! 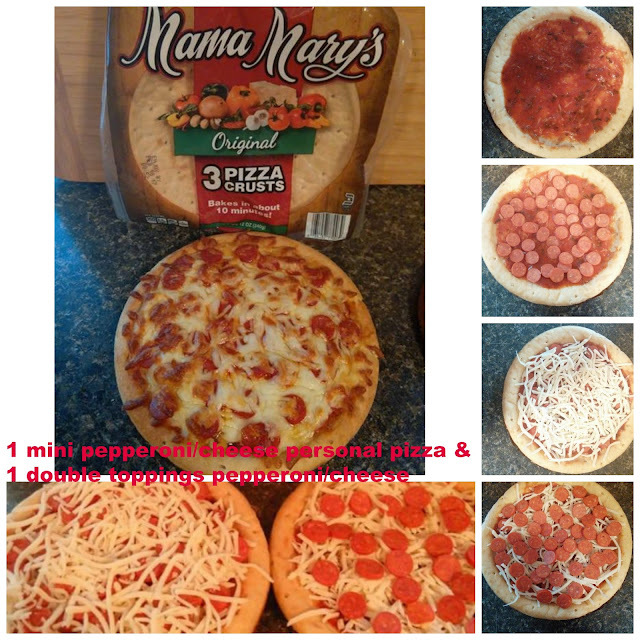 We make our own pizzas which is quick and easy with Mama Mary's already made crusts. We all get exactly the toppings we want and the pizzas bake in under 10 minutes and we are ready to enjoy our family night in no time at all! 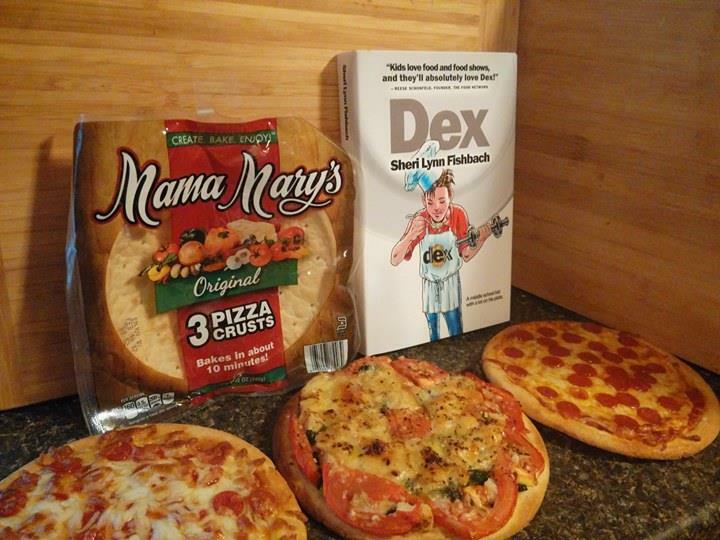 It is a great way for all of us to get in the kitchen and work together, have some laughs and talk about our week and decide what fun activity we want to do for the night, like watch a new or old favorite movie, live sports, video games, board games, outdoor kickball, puzzles, books or whatever we choose. We do this every Friday night which fits into our busy schedule and gives us the quality family time and a fun, quick, delicious dinner we all look forward to and enjoy! For our traditional Friday Night Pizza Making Family Fun Night, we decided to try a different recipe and we thought we would try an alfredo sauce with grilled chicken breast, spinach, roasted tomato and shredded mozzarella cheese. It was fantastic! 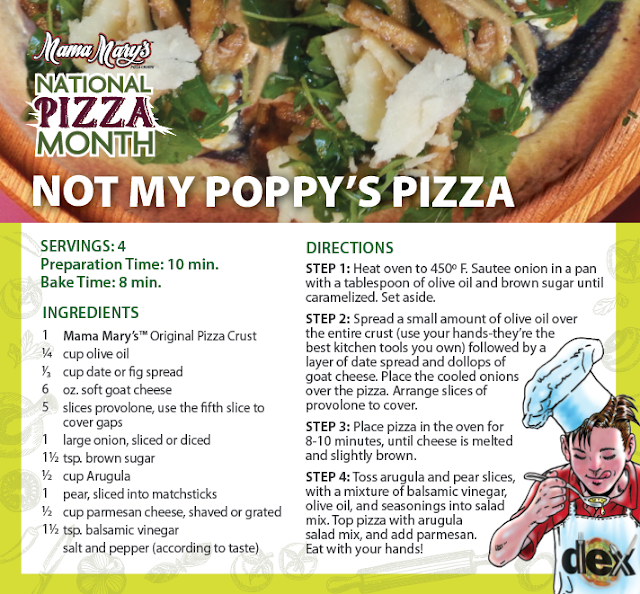 I am going to make a big full size pizza with this recipe next time because everyone wanted a slice! 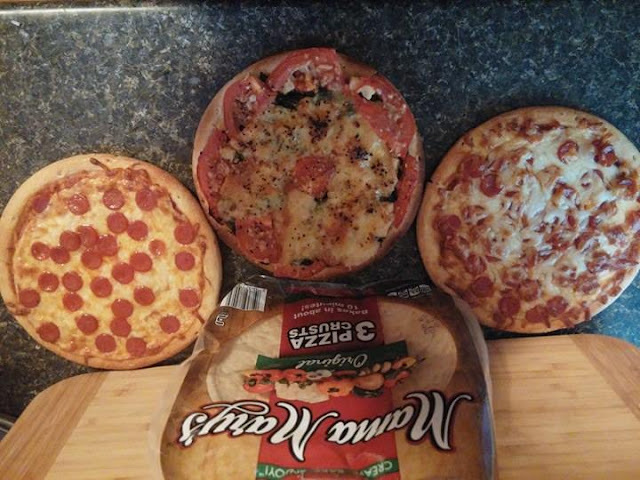 Our 8 year old chose to make a personal size pizza with a spray of olive oil on the crust, red sauce, mini pepperoni, shredded mozzarella, another layer of mini pepperoni and another layer of shredded mozzarella for a double pepperoni and cheese pizza!Our 4 year old chose to make a single layer of mini pepperoni and shredded mozzarella. 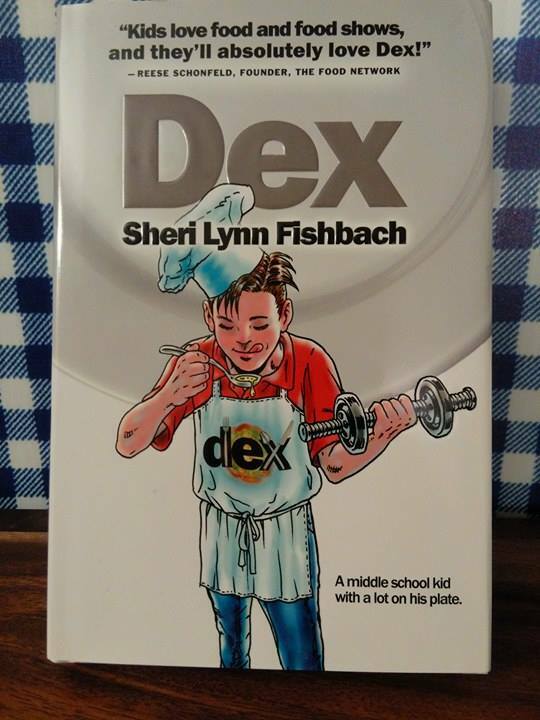 While our pizzas were baking in the oven, we started to read a new book titled: DEX, a tween novel that is being featured in the store savings booklet with two "DEXCIPES"
- DEX by Sheri Lynn Fishbach (Aug. 9, hardcover, $16.99, ISBN 978-1-943978-04-5). A gawky, lovesick amateur chef opens a gourmet lunch stand on his lawn. 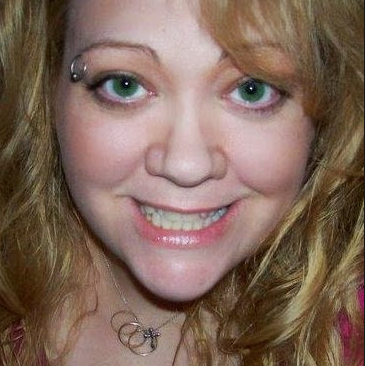 Ages 8–up. 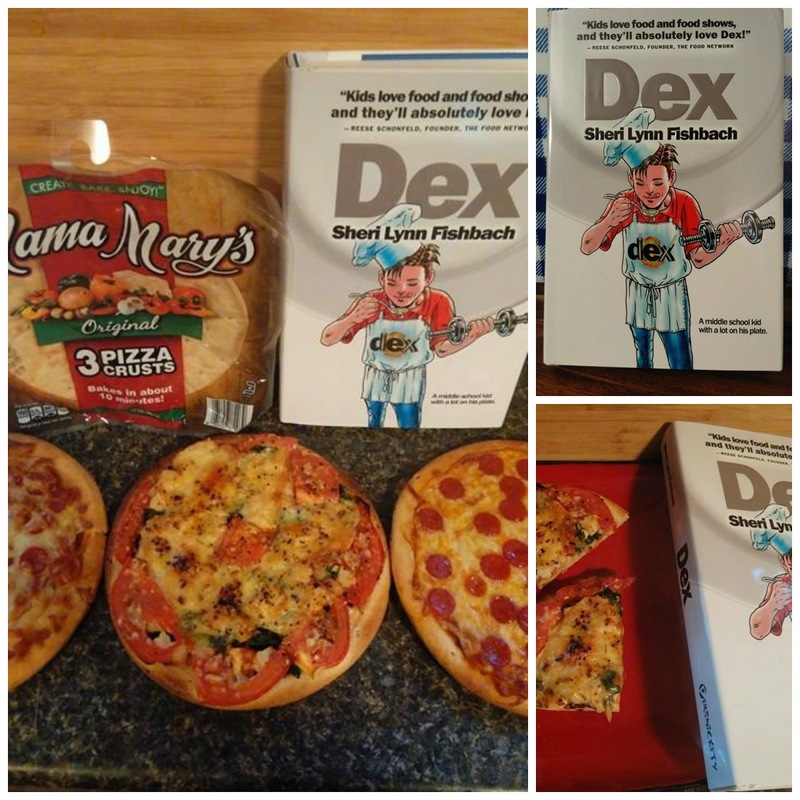 Our 8 year old is really into kids cooking shows and checking out kids recipe books at the library, so we thought DEX would be a fun activity for our Friday night pizza making family fun night. We took turns reading and we were soon wanting to know more know about DEX and his plan to win the heart of his middle school "crush" and the story gets deeper and deeper with twists and turns. We plan to continue reading before bedtime each night until we get to the end. So far it is a good book for 8-13 year olds that is not just about cooking and leaves us wanting to know more. 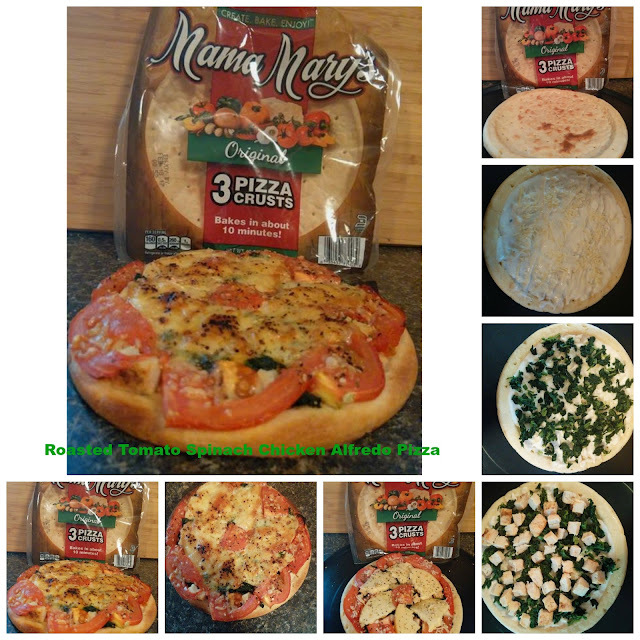 This blog is a sponsored post for Mama Mary's® All opinions are all my own.